Sean Kinch returns to Bacon today with a delicious fiction roundup featuring his favorite novels published in 2017. Stop in and enjoy this tempting Top Ten! You’ll recognize old friends – and discover new enchantments. Twenty-seventeen started slowly on the fiction front, but by mid-year the pace quickened. As the fall heavyweights rolled off presses, I felt like Lucille Ball in the candy factory, the books coming too fast for me to process. Unlike Lucy, though, I didn’t panic: novels stacked on the nightstand (and in my office and on my desk at work) don’t bother me. Just the opposite—I find them comforting, knowing that the list of books I want to read projects well beyond my lifespan. Critics who create “best of the year” lists should not kvetch over the exercise’s subjectivity, but it’s helpful to thumbnail one’s aesthetic in order not to mislead readers. The novels I enjoyed this past year—and, indeed, in almost every year—fall exclusively in the category of “literary fiction.” I did read, and savor, a handful of genre novels in 2017 (including my annual Scott Turow legal mystery and J. Robert Lennon’s playful rendition of the crime thriller, Broken River), but generally my taste tends toward ambitious fiction that defies category. I prefer Virginia Woolf to Agatha Christie, in other words; Hemingway to Mickey Spillane; Somerset Maugham to Ian Fleming; Eleanor Catton (The Luminaries) to Liane Moriarty; Pynchon to Frederick Forsyth. With that caveat, I offer my own list of the best works of fiction in 2017. A novelist as warm in person as she is dazzling on the page. After introducing her at the Southern Festival of Books, I spent an hour mesmerized by her rendering of a novel, which I had reviewed at Chapter 16 but in her voice sounded entirely new. I give Forest Dark the highest distinction, as I have to her previous two novels (The History of Love and Great House): I look forward to re-reading it, knowing in advance that it will reward a second exploration. Historical novel set in Brooklyn before and during WWII, depicting organized crime and the Naval Yards with equal aplomb. Readers of A Visit from the Goon Squad will recognize Egan’s fascination with young women getting mixed up with older men. At its core this novel is about re-invention: how do you become a new person? Stories unified in setting (Mobile, Alabama) but otherwise diverse. 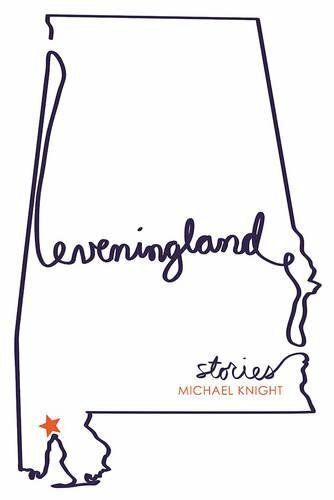 Knight produces gems in a variety of genres—coming of age, comedy, domestic drama, family legacies, tragedy—but seems to find his truest voice when characters make it through the wreckage and find new sources of hope. Read these stories in any order, repeat as desired. My one recommendation is to clear your schedule when you reach “Landfall,” the novella that closes the collection. You won’t want to put it down. 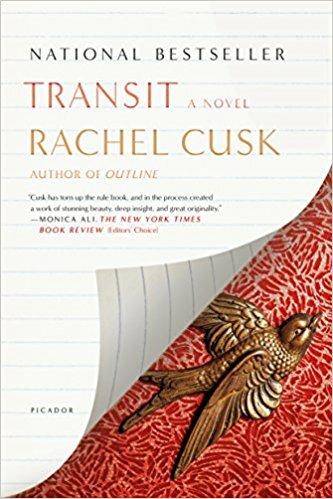 The second in a planned trilogy of novels following the mid-life travails of Faye, a writer who bears a striking resemblance to Cusk. It’s auto-fiction, without the narcissism: Cusk is less interested in baring the intimate details of Faye’s private life (à la Knausgaard) than in revealing the personalities surrounding her. A novel that seemed to be doomed by its topicality, Hamid’s allegory of political refugees who find magic doors that instantaneously transport them to foreign lands transcends its conceit in the second half, when the focus turns from survival to personal discovery. Hamid does not to reduce his characters to ideological pawns, nor does he exploit them for Salman Rushdie-style satire. He gives his young lovers Nadia and Saeed the freedom and dignity to find out who they really are. 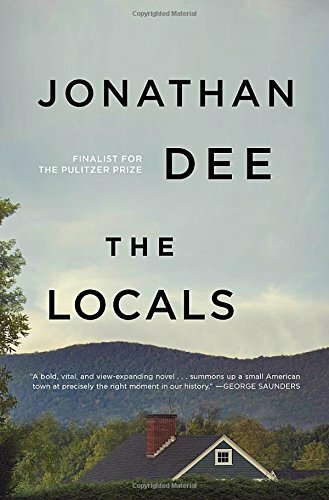 A novel I might have placed higher on this list if it weren’t merely the second best Dee novel I read this year: A Thousand Pardons (2013) is also terrific (as was Palladio). Dee is a consummate novelist, skillful and profound in equal measure, proficient at every aspect of the novelist’s craft. Pick up any Dee novel and read the first chapter: you will know from the start that you are in good hands. Joshua Ferris, The Dinner Party. A collection of stories that for newcomers provides an introduction to Ferris’s blend of humor, pathos, and narrative brio; for an old fan, this book provides sustenance to tide me over until his next novel arrives. Start with “The Breeze,” my early nominee for story of the decade. Arundhati Roy, The Ministry of Utmost Happiness. What’s the opposite of a “beach read”? 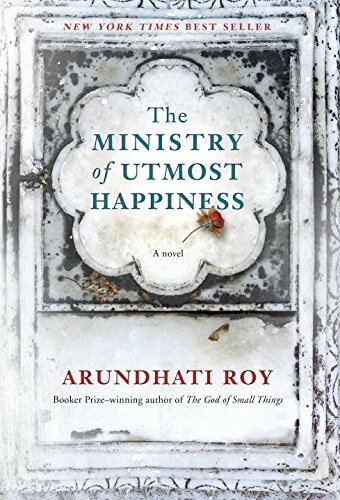 Roy’s novel is difficult on every level, primarily in its relentless depiction of the injustices perpetrated by Indian officials against religious minorities and the peoples of Pakistan and Kashmir, but its rewards are profound. Resisting the forces of oppression forces her characters to fight, but not to lose their humanity. They improvise a new community, an act of collective imagination that offers a glimmer of hope. A year (1995-96) in the life of a Harvard freshwoman. Batuman’s protagonist muddles through academic seminars and quasi-love affairs with equal deftness. A measure of Batuman’s skill as a novelist is her ability to make us sympathize with a character while also wanting to shake some sense into her on virtually every page. I missed this guy. When Klam’s hilarious and moving first story collection Sam the Cat appeared in 2000, I assumed that Klam would follow it up right away with a novel that would establish him in the literary stratosphere. But he got busy teaching college and writing for magazines, so the novel got put on hold. Now, in a book that lives up to my exalted expectations, Klam offers a struggling cartoonist whose mid-life crisis reaches a climax at a week-long artistic retreat. A couple of honorable mentions are worthy of note. Lee Conell’s brilliant debut story collection, Subcortical, announced the arrival of a writer whose gifts are varied and deep. I expect more great work (a novel, I hope) from Conell, a Vandy MFA grad now teaching at Sewanee, in the near future. Also, look for a continuation of the “seasonal quartet” from English novelist Ali Smith. Autumn, a meditation on emotional connection and personal transformation, appeared in 2017, with Winter and the rest of the cycle coming soon. I plan to read each as it is published, but I envy the reader who discovers the quartet later and binges on all four. While the above books were the cream of the 2017 crop, my favorite reading experiences from last year were two older novels by Ethan Canin, a writer I loved in the ‘80s (you might recall how his collection Emperor of the Air made a big splash) but had relegated to back-shelf status. First I devoured Canin’s America America (2008), a political bildungsroman with a Chappaquiddick-esque tragedy at its center, and then was blown away by A Doubter’s Almanac (2016). A depiction of genius, addiction, inheritance, and self-determination, that novel transfixed and inspired me equally. I’m gratified knowing that I have several books from Canin’s back catalogue to enjoy; it feels like catching up with an old friend and finding out that, since you knew him last, he has turned into an utterly enchanting companion. Here’s hoping that 2018 offers as many unexpected delights in the world of fiction. Happy reading.